Lexus surprised many industry experts and consumers with the unveiling of the Lexus LF-C2 at the last Los Angeles Auto Show which was held in November. 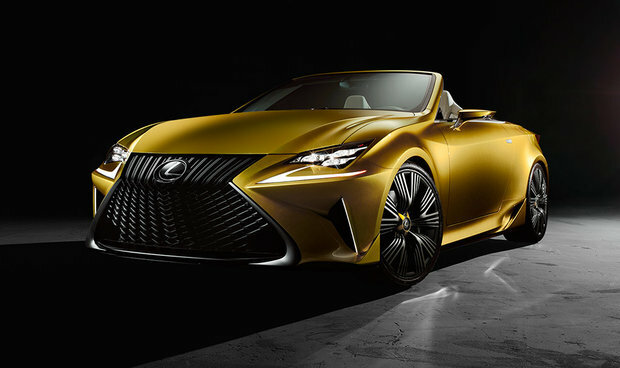 Displaying lines similar to the recent Lexus RC coupe, the LF-C2 is a convertible concept that would certainly be able to turn heads on the road. It is not certain that the concept will one day see production, but what we do know is that it will serve as the inspiration for future Lexus products from a design standpoint. There is no doubt, Lexus is not through with offering visually impressive models. Items like an imposing grille and LED lights shaped like hooks remind us of previous Lexus models. The front portion is large and the overall look of the car is muscular and gives an impression of speed and power. Inside, a modern cabin can accommodate up to four passengers. Although it is a concept, the Lexus LF-C2 does not have too many eccentric elements, a fact which suggests that Lexus could possibly offer the model to consumers one day.